Soundcloud likes spread your music among people eho are looking for a quality soundcloud content. Increase your like count and reach new diehard fans. A bit of extra love for your track! Boost your Soundcloud music with 1000 likes from REAL, verified profiles. Show your audience who's the best, with a steady increase of favorites for your tracks. With more likes (and comments), you show your present and future fans that your music is getting quite the attention. Promote your tracks with a professional marketing service. 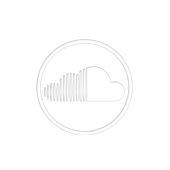 Buy Soundcloud likes (i.e. favorites or "favs") with confidence, thanks to our 100% safe method. Wanna combine with other professional Soundcloud promotion services? No problem! Just browse our large collection right here. You may particularly like the value packs for the busy music pro, with bundled Soundcloud likes, plays and comments.